A man who was shot and injured by Surrey Police after arming himself with an imitation gun, has been jailed. 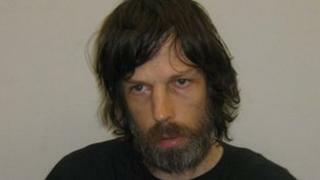 Richard Pell, 41, was jailed for four years at Guildford Crown Court. He was shot in the hip at Knaphill in July after officers responded to reports that a man intended to harm himself and others. Pell, also of Knaphill, was jailed for 40 months after he admitted possessing an imitation firearm with intent to cause fear of violence. He was given a further consecutive eight-month term for communicating false information about a hoax bomb. Pell, of Oak Tree Road, had pleaded guilty to both charges at an earlier hearing. The Independent Police Complaints Commission (IPCC) has been investigating the incident. In July, IPCC Commissioner Mike Franklin said a weapon found at the scene was identified by a ballistics expert as a 6mm BB gun which had been painted black.